I've been banned from putting up the Christmas tree yet. Even my kids think its too soon. 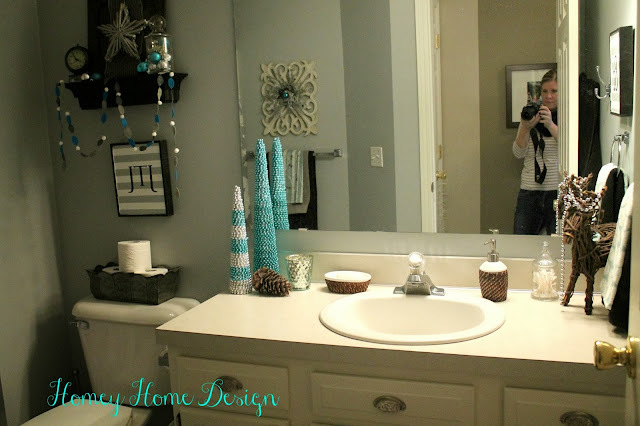 I wanted to share with you some ideas that you could use not just in your bathroom but anywhere in your home. 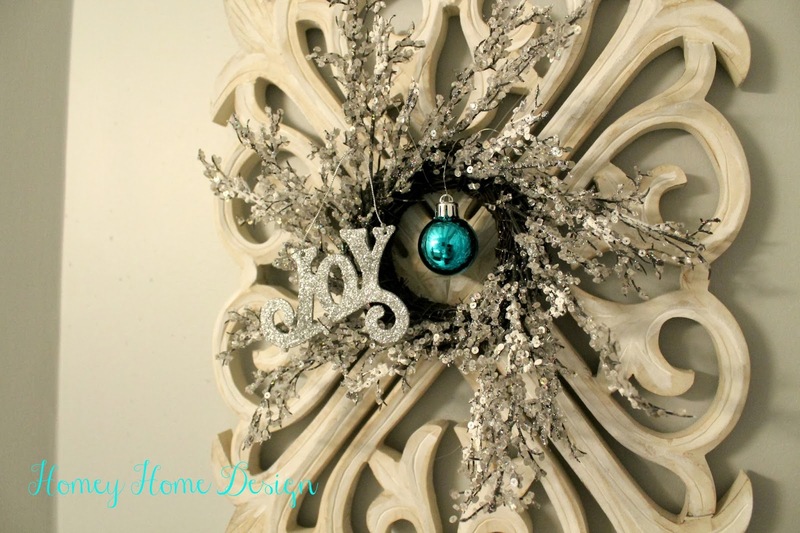 Its time to think outside of the box and create a little holiday sparkle! They aren't just for your outfit. And layers help to make any space feel homey. 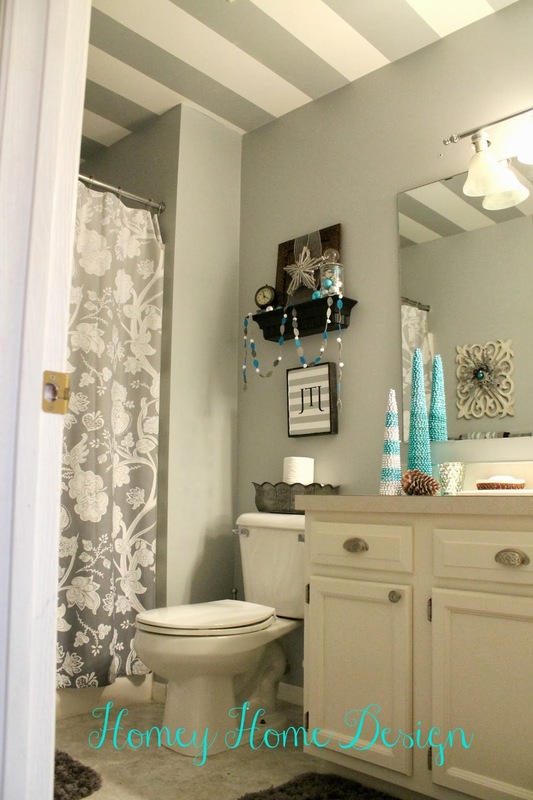 Here are some layering ideas from the bathroom. This wooden plaque is my everyday decor in this space. For Christmas I added this small wreath and added two ornaments. This charger from the dining room adds more texture. 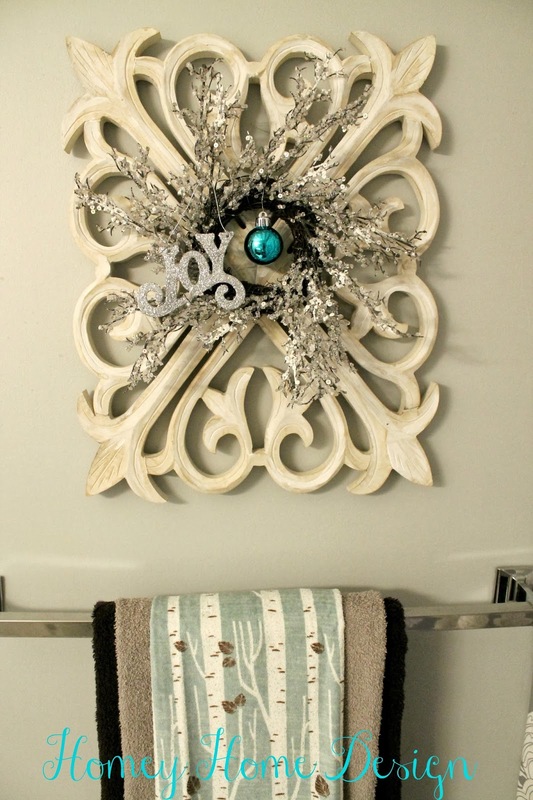 I added some sparkly wide ribbon and hung over it an over~sized ornament from Target. Ornaments aren't just for trees! This is probably common knowledge but sometimes we just need a reminder. Use ornaments in unexpected places; in a bowl, hanging from a lamp, grouped together on a tray or tucked throughout your decor. 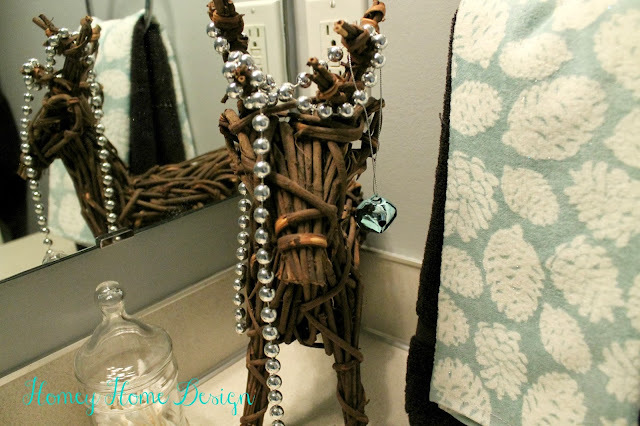 Its not just for the tree or outdoor decor. 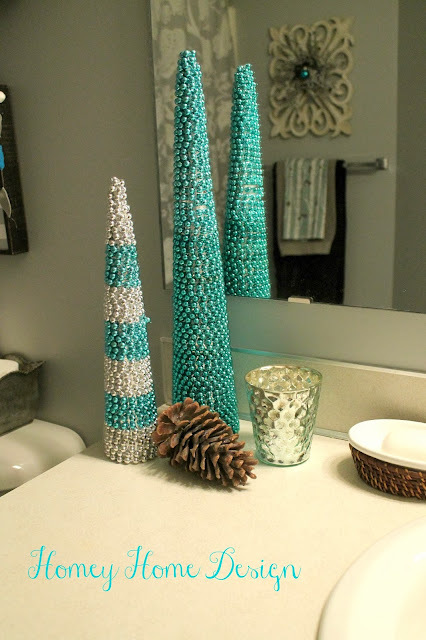 I love to added touches of it everywhere! And sparkle can carry you beyond Christmas and throughout the winter. 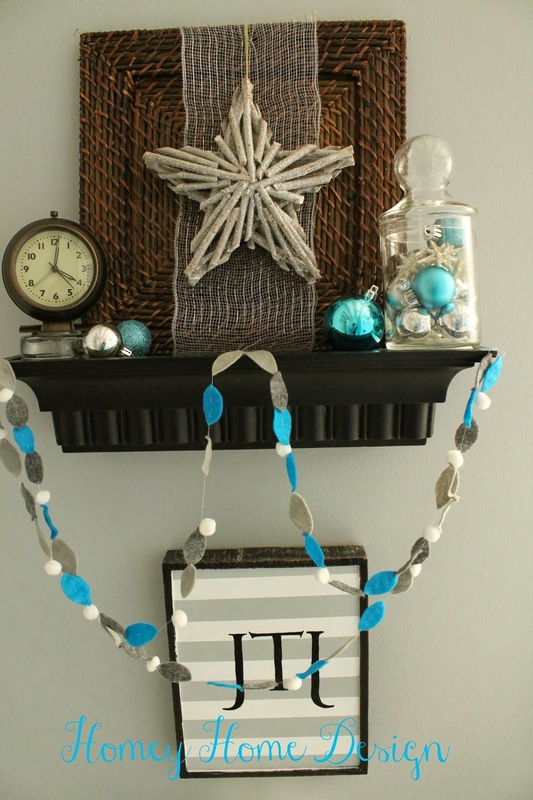 Many of these items will stay until spring like the sparkly wreath and the star. To transition away from Christmas and into winter I will remove the traditional ornaments, and the Christmas trees. In its place I may add more pine cones and some candles. Kitchen items aren't just for the kitchen! 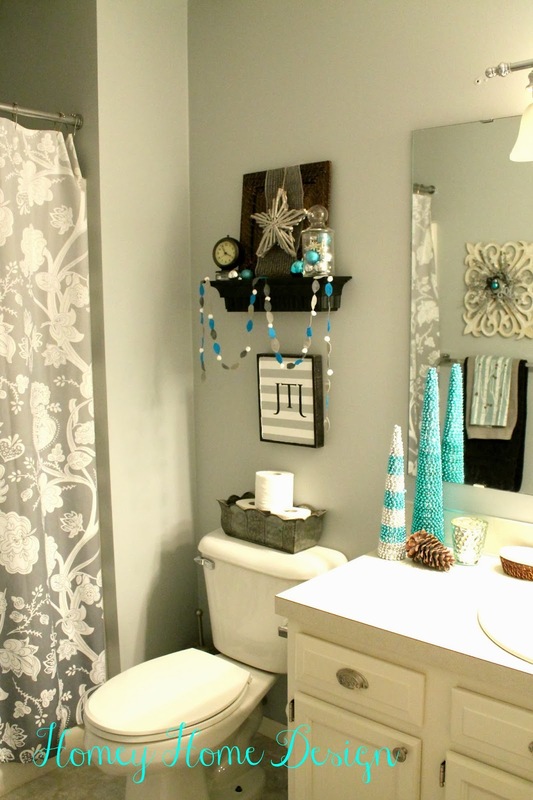 Case in point, the charger on the shelf and the kitchen towels layered over the bath towels. 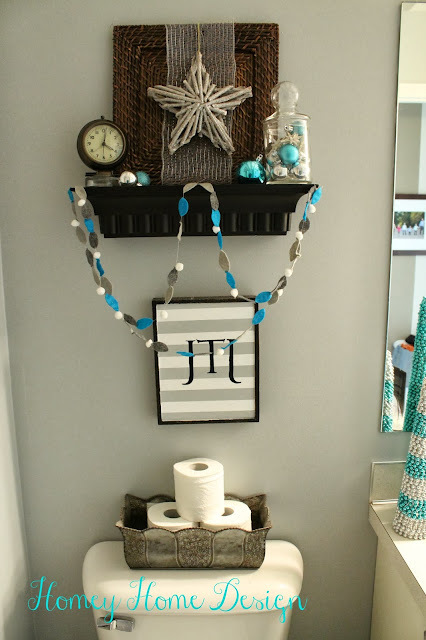 I hope you will think outside of the box when you decorate this year. And seriously decorate your bathroom for pete's sake. 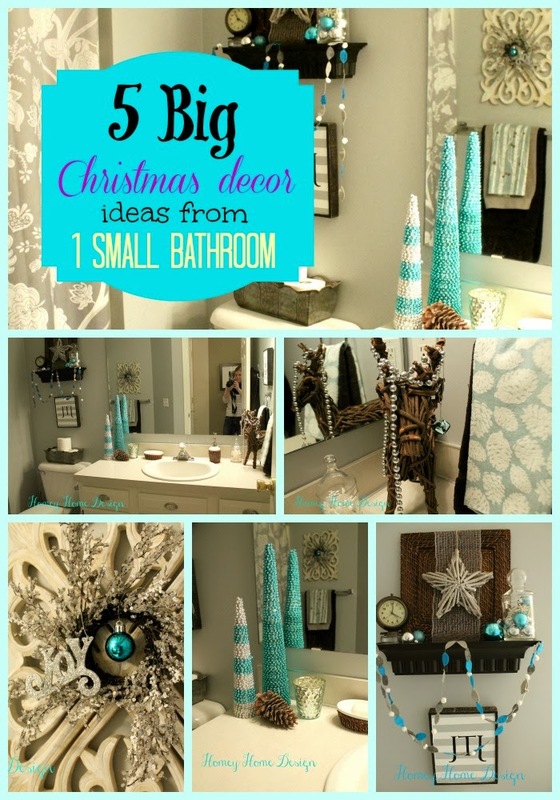 It makes going into the bathroom to do your business a lot more festive!